The official, full-color guide to Stargate SG-1 Seasons 1-5 includes episode guides, cast and crew interviews and an insider's look at the show's production! The ultimate companion to the long-running series includes encyclopedic details, more than 600 full-color images, and a bonus DVD. This exploration of Stargate SG-1 and Stargate fandom includes exclusive interviews, an episode guide, and character and storyline explanations. Here's a bumper selection of six of the very best scripts from the smash hit show Stargate SG-1, including introductions, interviews, and commentary. An anthology of essays on the Stargate universe, including contributions from scientists, philosophers, SG-1 effects head James Tichenor, and actor Tom McBeath. The official companion for Season Four features a complete episode guide, photos, behind-the-scenes interviews, and more. Season Three's official companion includes the same great interviews, photos, behind-the-scenes info, and episode guide! The companion to the second season of Stargate Atlantis features a behind-the-scenes episode guide, cast and crew interviews, photos, and more. 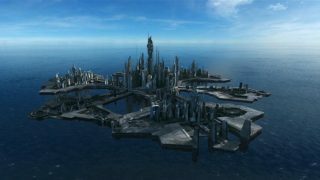 Get inside the first season of Stargate Atlantis with a behind-the-scenes episode guide, cast and crew interviews, photos, and more. The sixth installment in Titan's popular series includes a look at every episode of Season Ten, interviews with the cast and crew, photos, and more. The popular behind-the-scenes book series continues with volume 5, with an in-depth episode guide, interviews with the cast, and much more. The fourth SG-1 companion goes in-depth on Seasons Seven and Eight, with an episode guide, commentary, cast and crew interviews, photos, and more. This volume looks at the fifth and sixth seasons of Stargate SG-1, with more great interviews, in-depth story synopses, commentary, and photos. Volume 2 tackles SG-1 Seasons Three and Four, with story synopses and commentary, behind-the-scenes info, cast and crew interviews, and more. Look in-depth at the episodes from Seasons One and Two of Stargate SG-1, complete with interviews, photos, and a complete episode guide.